The ICO boom of 2017 and early 2018, ushered in a new era of individual blockchain projects that aimed to solve a lot of the issues on the Ethereum (ETH) network. The most prominent ones have so far released a final product in the form of a mainnet, with others in the last stages of launching one. This is best exemplified by Tron that recently launched its Mainnet, as well as EOS. Zilliqa on the other hand, is on the cusp of launching its Mainnet at the end of this year or early next year. All these new projects are brilliant. Tron aims at decentralizing the web; EOS has the approach of a democratized blockchain; Zilliqa on the other hand, brings in the concept of sharding as well as the new Scilla programming language. But what if the approach of breaking away completely from Ethereum was the wrong one? What if it was far more wiser to try and improve it by creating a second layer as suggested by the Co-founder at the Loom Network, James Martin Duffy. The Loom network is building their layer 2 on top of Ethereum instead of completely creating a new blockchain network. This then solves the scalability issues on the network without having to start from scratch. At the core of Loom, is an SDK (Software Development Kit) that allows developers to quickly build their own side-chain (or layer 2 blockchain) on the Ethereum network without having to understand blockchain infrastructure. This is more or less the concept of Plasma that has been put forth as a way of solving scalability issues on the Ethereum network. Simply put, the number of developers building on top of Ethereum is not only growing — it’s accelerating. Another project that is improving on the Ethereum network is Enjin Coin (ENJ). The project is a gaming project, therefore there is a need for a high through put. 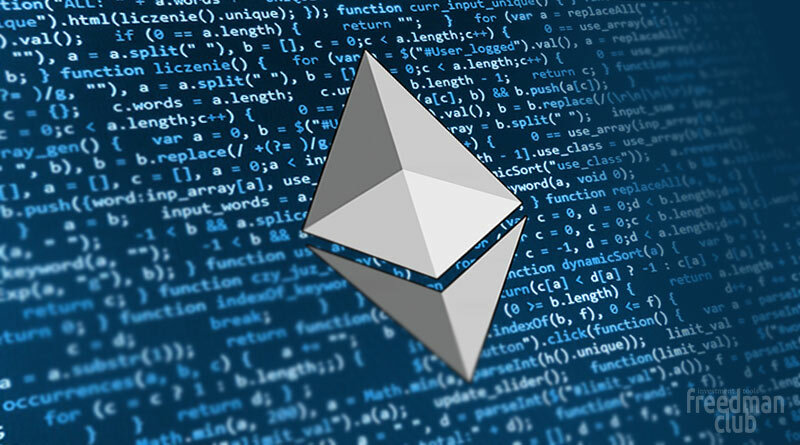 The team had earlier on in the year hinted about using techniques from both Plasma and state channels in their Efinity project geared at scaling on the Ethereum network. Summing it up, there is more to be achieved by testing the limits of the Ethereum network than creating new blockchain networks. This fact is probably the reason Tron’s Virtual Machine, is 100% compatible with Ethereum’s. It also accommodates the Solidity programming language. In a nutshell, scaling the Ethereum network should be reconsidered as an option before embarking on new blockchain networks that try to reinvent the wheel. What are your thoughts on improving the Ethereum network? Should we do away with it or try to improve it? Please let us know in the comment section below.